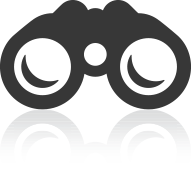 Audits represent the greatest risk of unclaimed property and escheatment laws. Most companies will be audited eventually, because states want penalties, interest and unclaimed accounts from companies like yours to replenish cash reserves. 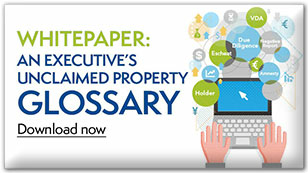 Third-party auditors aggressively uncover unclaimed property for profit. The biggest monetary risk is often extrapolation of past amounts owed based on current years’ records. That’s not to mention the organizational impact of diverting staff and resources from other important tasks to manage the audit process. Is there anything you can do to minimize the ﬁnancial and logistic stress of this business threat? 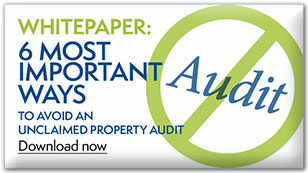 You can reduce the impact of unclaimed property audits with a few strategic actions. Limit the audit’s scope and develop ground rules. Ensure you aren’t under- or over-escheating. 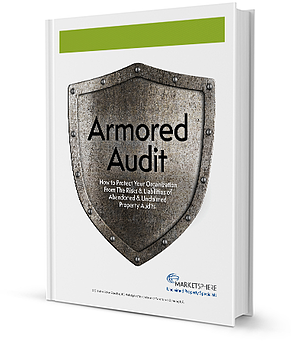 Build audit-defense strategies into recordkeeping and finance protocols. Engage the services of an audit consultant—it’s as important as hiring a lawyer before you go to court. MarketSphere Unclaimed Property’s audit services team has been through hundreds of audits, many of us on the other side of the table as state administrators and auditors in previous positions. We use this exceptional expertise to partner with clients at a level they desire to conduct prescriptive pre-assessments, officiate audits, present records accurately, leverage important advantages, liaison with states to achieve fair and reasonable results—and get it done as quickly as possible. Whether you need separate audit services or full Audit Defense, we’ll help you assemble a streamlined blend of services and internal processes to reduce costs, logistics and worry, allowing your staff to address more profitable activities. 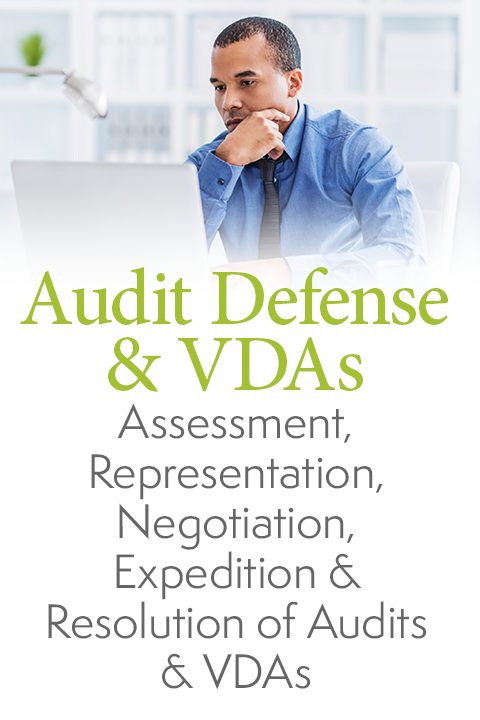 If you are eligible for a Voluntary Disclosure Agreement (VDA), we can help you navigate the variables in your favor. There’s more room for negotiation than you might think. To reduce the burden and increase accuracy of a pre-audit assessment, take advantage of our proprietary records assessment technology. We’ve been doing this so long, we can offer unusually robust historical data to help you anticipate audit findings—it’s a database no other company can offer. It all adds up to an unbeatable audit team on your side. These services are provided in the utmost professional manner, with a high level of integrity and commitment to your business goals and bottom line. 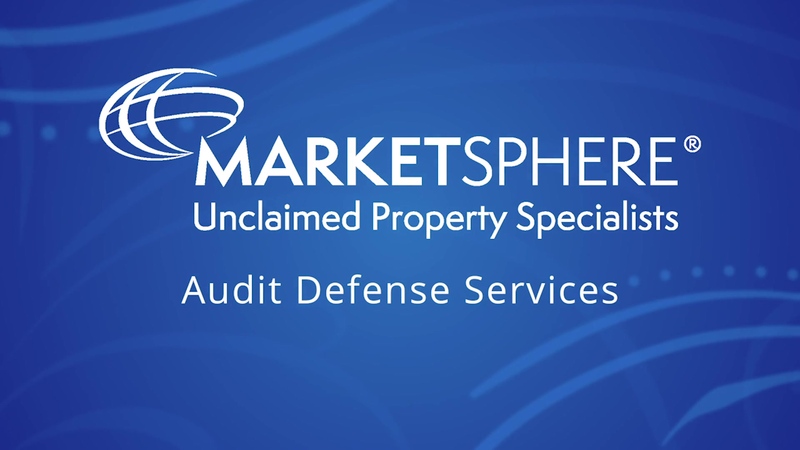 When you choose MarketSphere Unclaimed Property as your partner for audit defense and VDAs, you choose peace of mind. Wanda worries about unclaimed property audits. We all felt very confident in your unclaimed property knowledge and felt that the final product provided was very thorough, clear and extremely helpful.